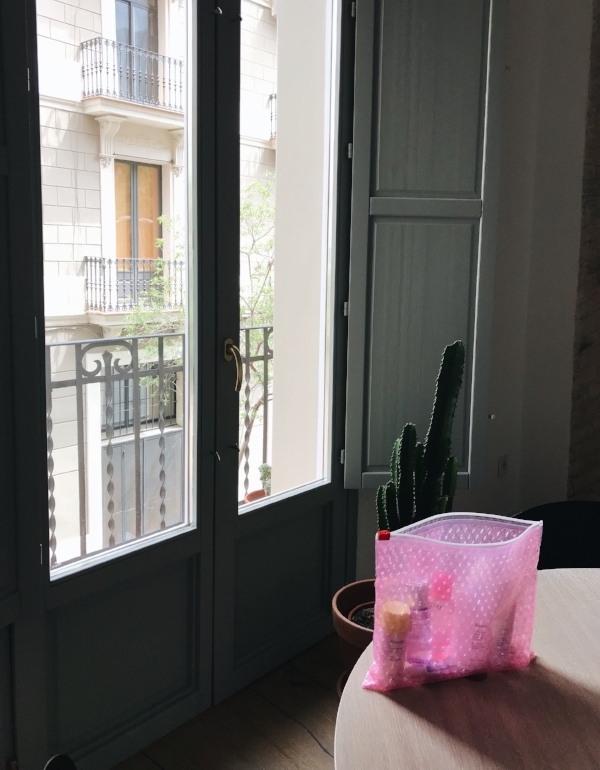 I'm back from my recent adventures in Paris & Barcelona, and will have zillions of photos and stories to share - but first, I wanted to post a little update on my Glossier adventures. My first Glossier lowdown post has turned out to be one of my most viewed posts ever (!! ), so here's a progress report on a few more things I've tried. So, if you're curious, let's get to it. I hate to say it, but the Daily Oil Wash ($18) is my least favorite Glossier product to date. I love the idea of a no-soap wash, and I wanted so much to integrate it into my daily shower, but alas - this one is not a winner. First note: the smell is beyond overpowering. I typically love floral scents, but this absolutely smacks you in the head with English garden and it sticks to you alllllll day long. If they had turned the potency down it is actually a nice smell, but it's way too much. Secondly, I had to use a lot of product to get even a little foam, and even then I didn't really feel like it cleansed my body at all. I would definitely not recommend this one to anybody and I don't think I'm going to finish the bottle I purchased. On the other hand, the Daily Perfecting Cream ($22) is actually kind of lovely. I thought I'd hate it based on my feelings about the Oil Wash. It has a sort of bizarre plastic-y scent, but it's mild and doesn't stay very long. The lotion itself is super hydrating and smoothing, especially on my legs just after I've shaved them, and the moisture stays for a full 24 hours. It has a pearlescent shimmer and I love how glowy it looks on. This is one I'd consider buying again. I've always been very low-key when it comes to makeup. I don't like or need a lot of coverage, and except for an occasional bold lip I prefer everything to be sheer. One of the beauty industry's criticisms of Glossier is that it is makeup & skincare created for women who have minimal makeup & skincare needs to begin with. I think it's a fair point, and the Perfecting Skin Tint ($26) would only fuel that opinion. I guess you'd technically call it a foundation? But you shouldn't, because it gives no coverage at all - and that is precisely why I ADORE it!!! It's almost completely sheer, and just gives my skin the slightest wash of color and brightness. Just like if the saturation on my natural skin tone was turned up 2 notches. It does enough to smooth any lines and adds the sliiiightest bit of evening underneath my eyes. If you like more coverage or a traditional foundation, this is definitely not a product you'll like, but I absolutely love it. One note, though - I used the "Shade Finder" on the Glossier website, which told me that I should purchase the lightest shade available....?? I ignored it and purchased "Dark", which is perfect for me, but to be frank: if I, a mixed-race woman, am considered "Dark" in this 5-shade range then it clearly is going to leave plenty to be desired for anyone who falls on either end of the skin tone spectrum, especially when you consider the different under and overtones that exist in our skin. I know it's sheer, but the idea that all the ladies on earth who want to wear this have to fit into one of 5 super limiting buckets is bizarre. I love Perfecting Skin Tint, but I Glossier needs to do way better on shade range. 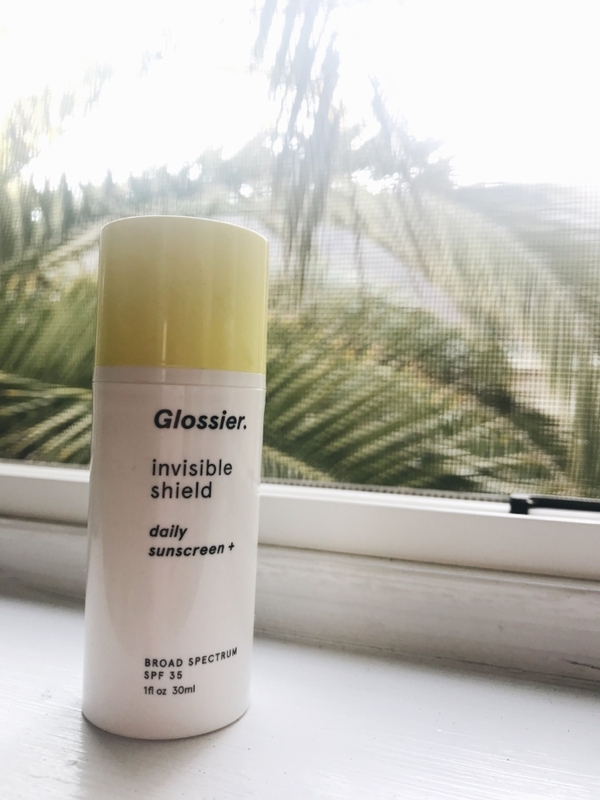 I am chronically bad about remembering to apply sunscreen so I was very hopeful that the Invisible Shield SPF 35 ($25) sunscreen would be the product that got me to commit - but I have to be honest, it hasn't done it. It looks, smells, and feels lovely to put on, and doesn't have that strong sunscreen-y smell or any tint to it at all. It definitely protects my face when I wear it. But I have somewhat oily skin, and something in this product seems to make me breakout each time I use it. Upon a bit of further research I found that one of the main ingredients in Invisible Shield, homosalate, is a known hormone-disruptor so I'm guessing it's because of that. If you don't have oily skin or sensitivity to hormone-disruptors, this sunscreen might be a great fit for you - but even though it prevents sunburn effectively, I probably won't be buying it again. Among the recent mehhh purchases I've made from Glossier, Lash Slick ($16) is the only absolute standout: it is AH-MAZING. I don't know what I expected, but this mascara blows me away. It defines every single one of my lashes, short and long, and pulls them out to their maximum length to the point where it alllllmost looks like I could be wearing false eyelashes. It doesn't thicken very much, which makes Lash Slick great for a daytime look (I'll probably stick to Too Faced for evenings). It doesn't flake or leave a dark line under my eyes, and it stays working all damn day. I'm seriously obsessed with it. am I still a huge Glossier brand fan? If you want to give it a go, here's my promo code! 10% off your first order will be applied at checkout!